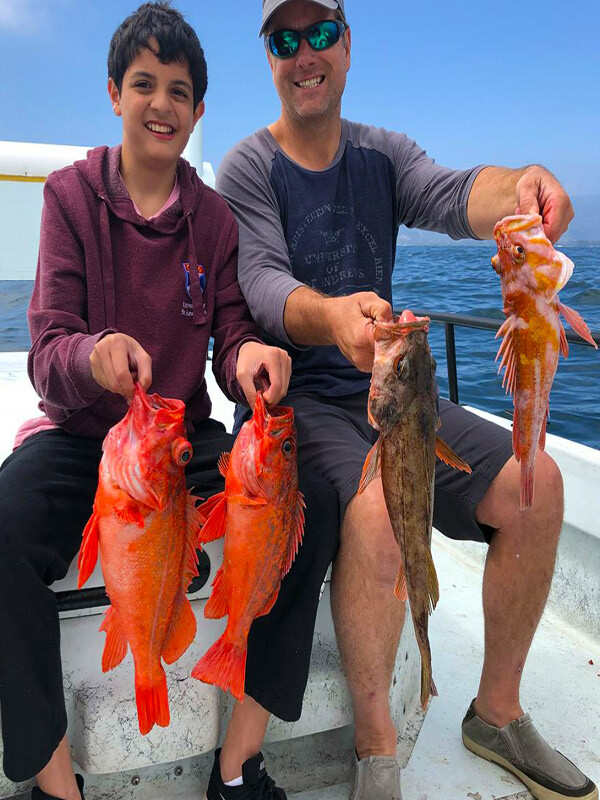 Time on the water with your family or friends is something special and a Santa Barbara fishing charter with Captain Tony is the best. “Hands down best boat and captain in Southern California. 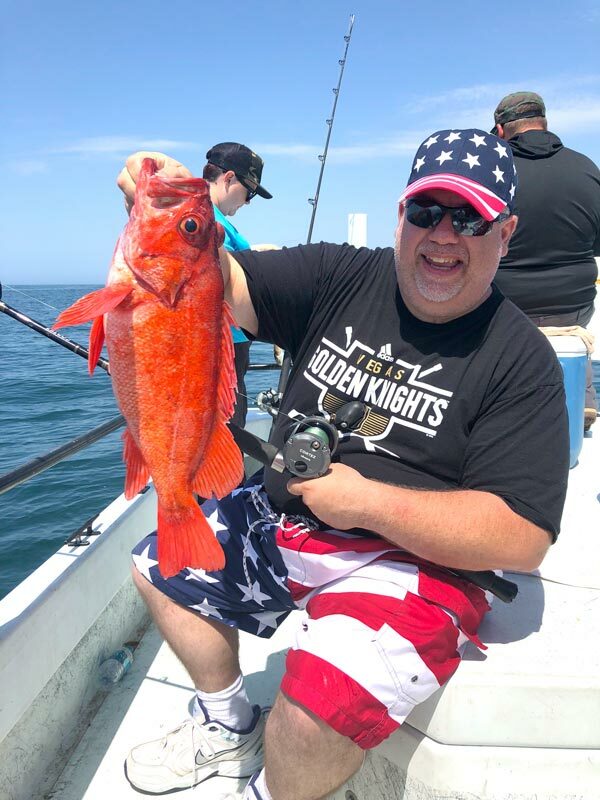 Tony knows how to fish and knows how to make it fun.” Dave S.
A 1/2 Day fishing charter is the perfect way to spend quality time with family and friends… great memories are what life is about. 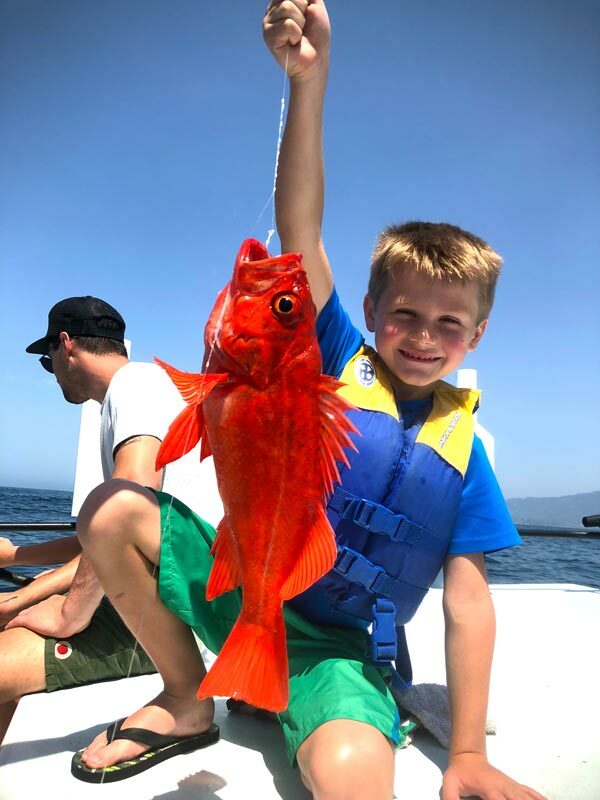 Welcome to Santa Barbara Sportfishing Charters. 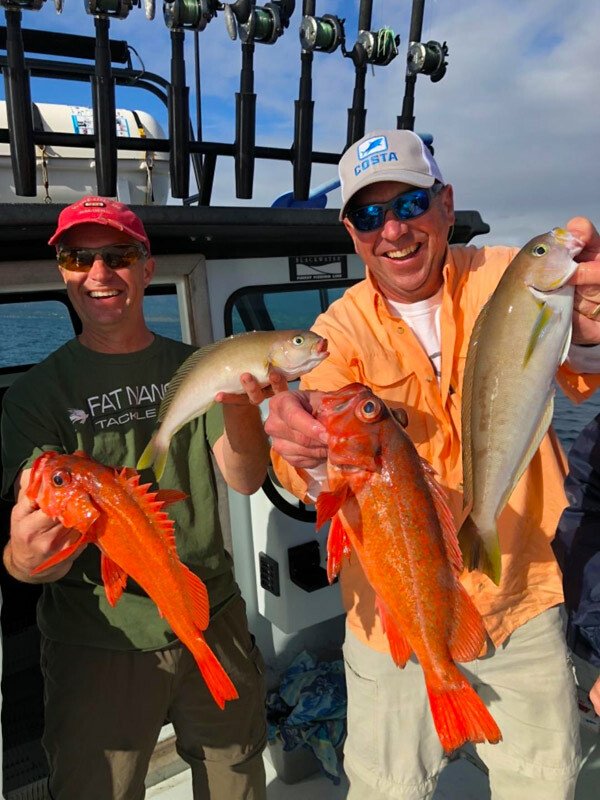 We want to make your time in Santa Barbara extra special with a fantastic half day coastal fishing charter. 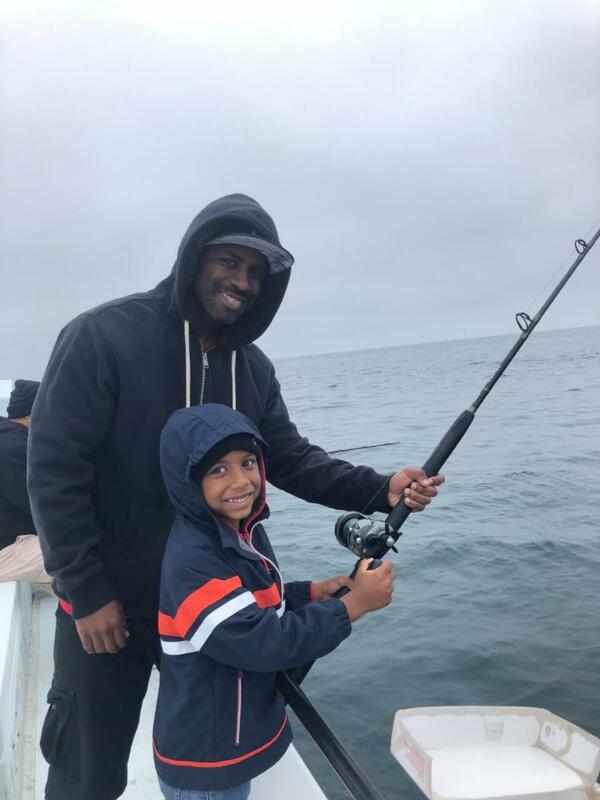 Your time aboard “Rock Steady”, our custom-built fishing boat, will be an adventure you, your family and friends will talk about for years. 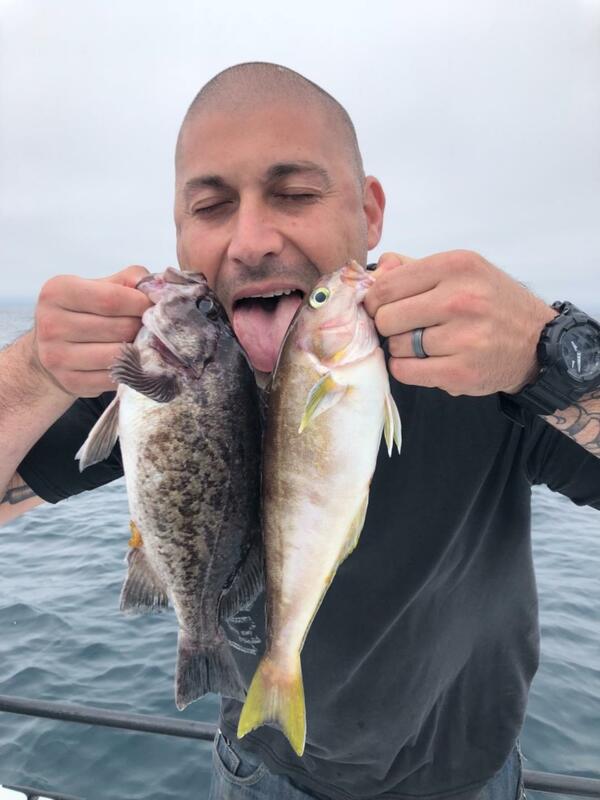 Captain Tony is a professional fisherman with 1000’s of trips in the Santa Barbara waters. 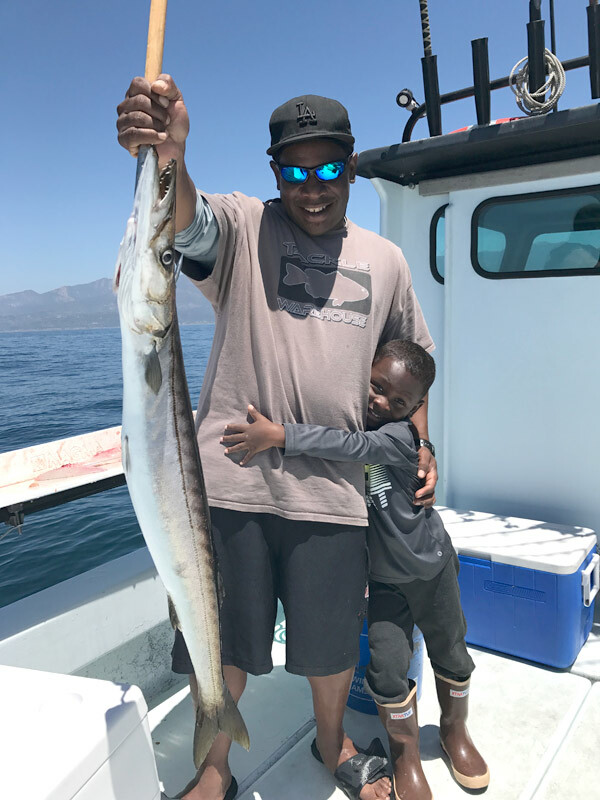 He knows the best fishing spots and loves sharing his passion with both kids and adults alike. 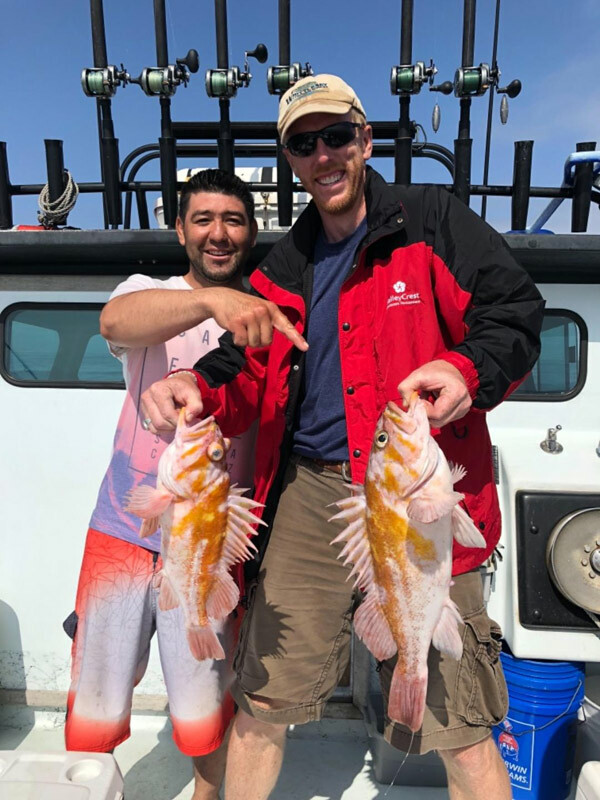 The deeper waters near the Channel Islands are home to some awesome fishing. People say the Channel Islands simply rock when it comes to sheer beauty and great fishing. Experiencing it with a pro like Captain Tony just makes it that much better. 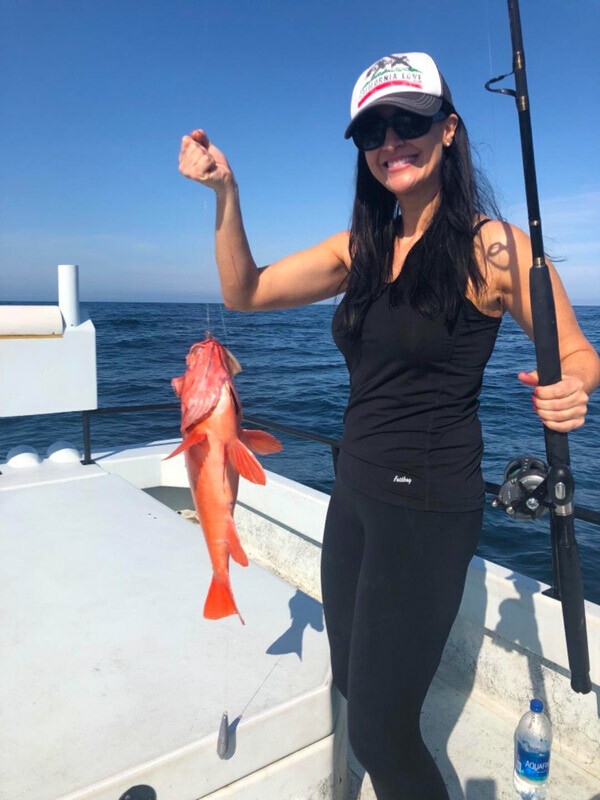 Guests love this full-day adventure where they often see whales, dolphin and a greater variety of fish including halibut, bass, rock cod and more. The Channel Islands are a treat as well with their high cliffs and blue waters. 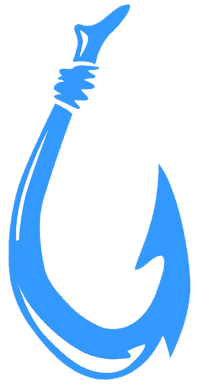 It’s no wonder island fishing charter are so popular. 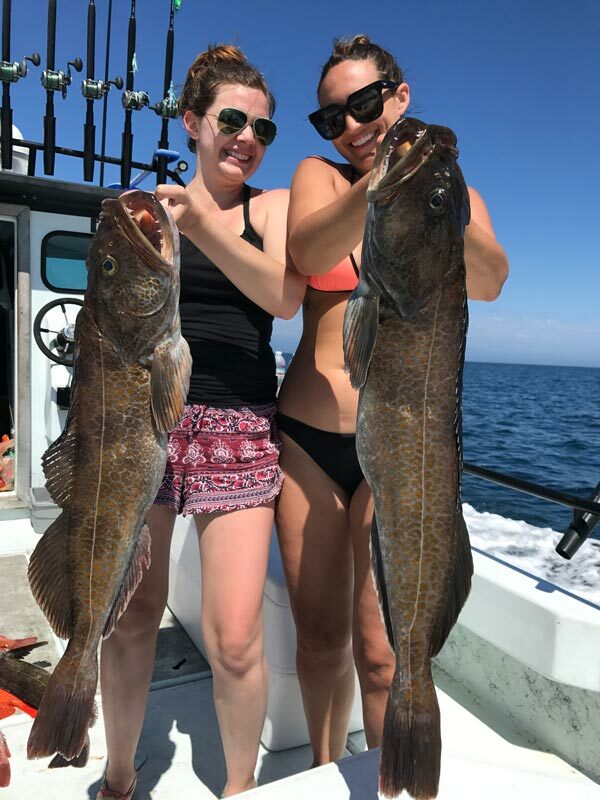 A Fine Boat and Coastal Waters Can Make For Great Times, Fun and Memories. Ashes to Ashes and More. 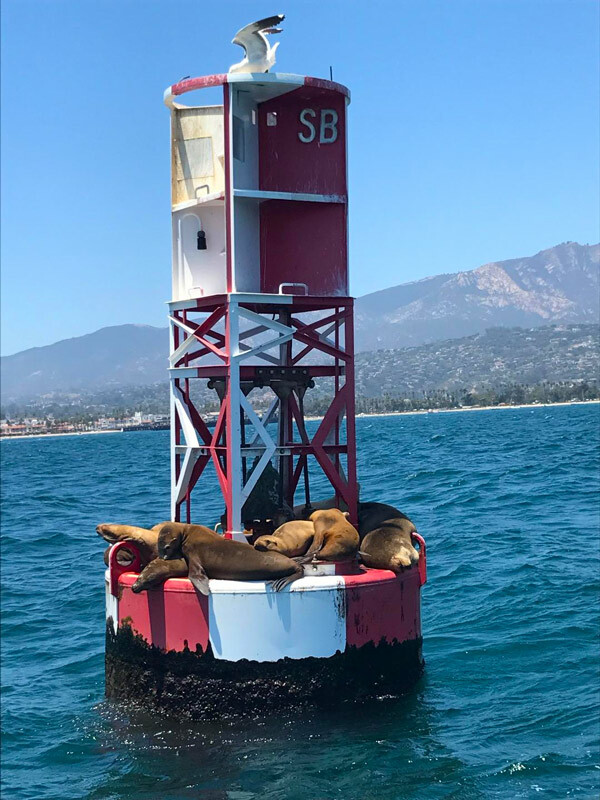 Santa Barbara Sport Fishing Charter. 2017. All Rights Reserved including Images.